Hazardous Waste Disposal - Do you know if your waste is hazardous? Hazardous waste disposal and removal can range from asbestos to sharp objects. At ADS Recycling we specialise in many different areas of waste recycling. This includes hazardous waste. Because of the hazards which come with the waste, they cannot simply be placed in a skip and require specialist removal to be taken away. Waste which is contaminating land or a building can easily be removed with our specialist equipment, quickly and at a low cost. We can take a sample of the contaminated waste, analyse it in a lab to find what is in the waste and then dispose of it in accordance with special Waste Regulations 1996 & Environmental Protection (Duty of Care) Regulation 1990. We do this because we believe recycling is a key factor in reducing CO2 emissions and therefore we are doing our part to saving the planet. Asbestos can be very harmful, especially when the spores are breathed in. Asbestos can lead to diseases such as lung cancer, mesothelioma and asbestosis. These are very harmful and we ensure the whole area will be completely cleared of all asbestos. Asbestos has been used for years now so can be found in many different places. Not just old buildings and roofing contains asbestos, car brakes, heat resistant fabrics and shingles all could contain asbestos. Common items such as televisions can be seen as hazardous under the many different safety acts. So if you want to scrap a television you must ensure you are disposing of your televisions in the correct way. 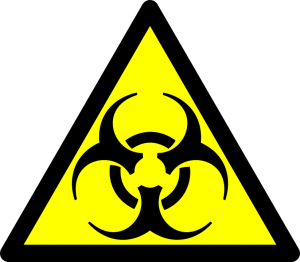 What makes hazardous waste hazardous? Hazardous waste is deemed hazardous if it exhibits one of the four characteristics defined in 40 CFR Part 261 Subpart C – ignitability (D001), Corrosivity (D002), reactivity (D003), and toxicity (D004 – D043). If you are concerned about the environment we want to continue with recycling and waste management Warrington that protects our area so we will continue to provide our excellent services in the way we always have. If your interested in Waste removal Warrington then click here. For any more information about waste removal please ring ADS Recycling on 0800 975 8013 or email orders@adsrecycling.co.uk.